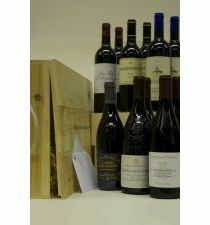 Twelve bottles of our finest red wine for those that will appreciate such a special gift. These wines can be enjoyed now but all have the potential for mid to long term ageing. For real connoisseurs! 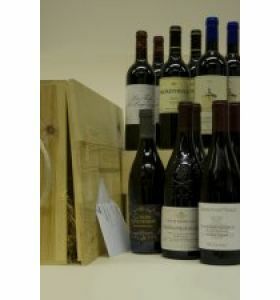 Two bottles of each of the following - Riglos Quinto Malbec from Argentina, Closerie de Vaudieu Chateauneuf-du-Pape, John Duval Plexus, Chorey Les Beaune, Les Fiefs de Lagrange, and the Amarone Jago from Recchia. Beautifully packaged in two six bottle wooden boxes with your personal message and next working day delivery (+£6.65).